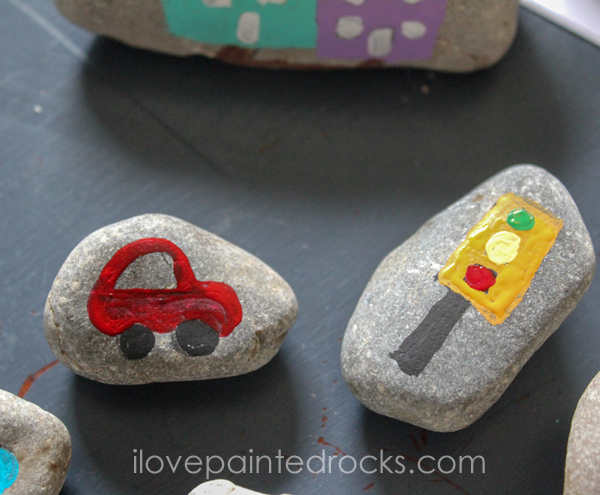 Painting rocks is an easy and relaxing activity! 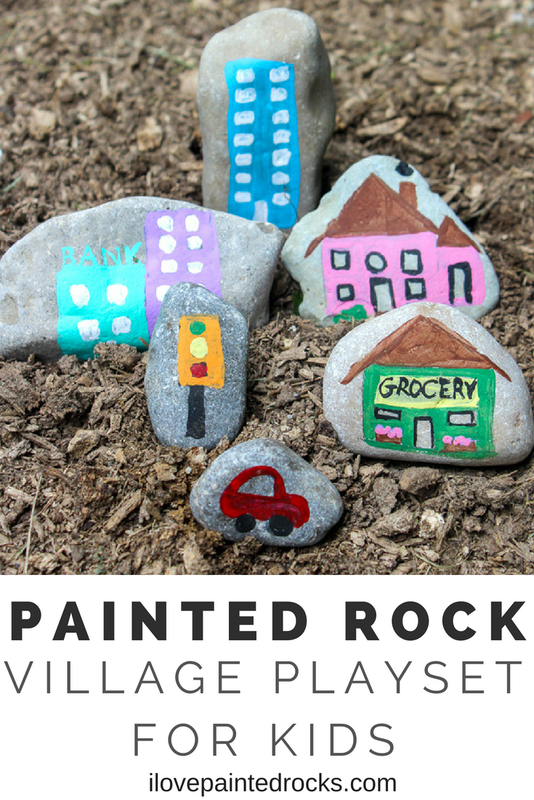 Instead of just painting rocks for your local hide and seek rock group, try making your rocks into a fun play village for your kids! 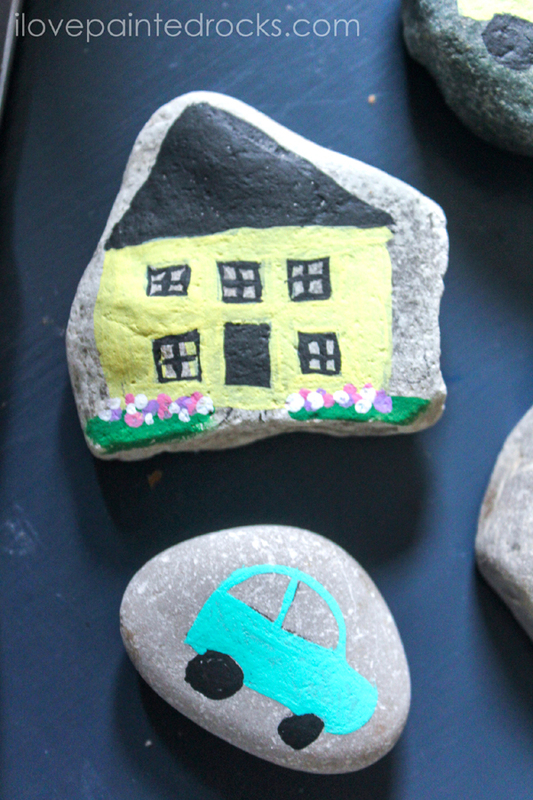 You can paint little stone houses, stores, cars, traffic lights and more. The only limit is your imagination! The instructions for making a rock play village are pretty easy, so I have included several tips to help you along your way! 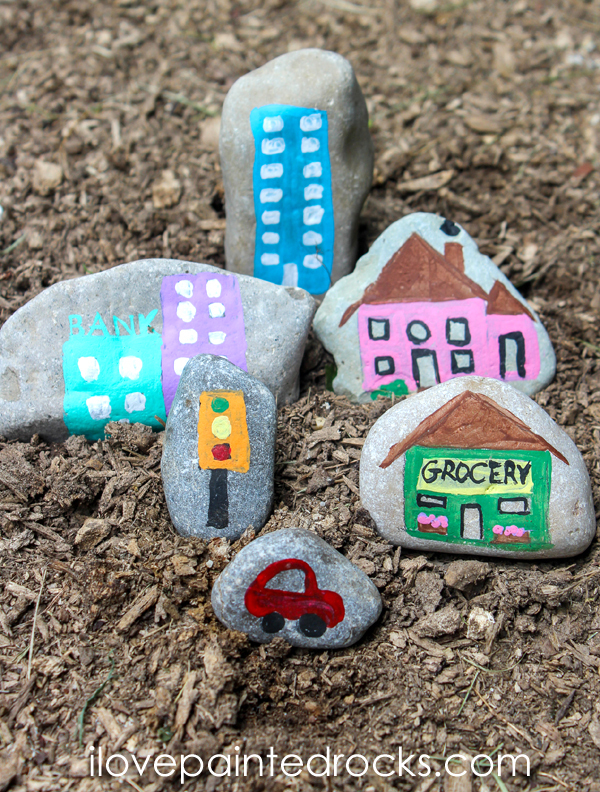 For this painted rock village, we painted a mix of cars, trucks, school buses, houses, buildings and stores (like the bank and grocery). We also painted a park, a ‘forest’ rock and a church. Of course, every village needs a few stop lights as well. You can paint your village to include whatever you want! 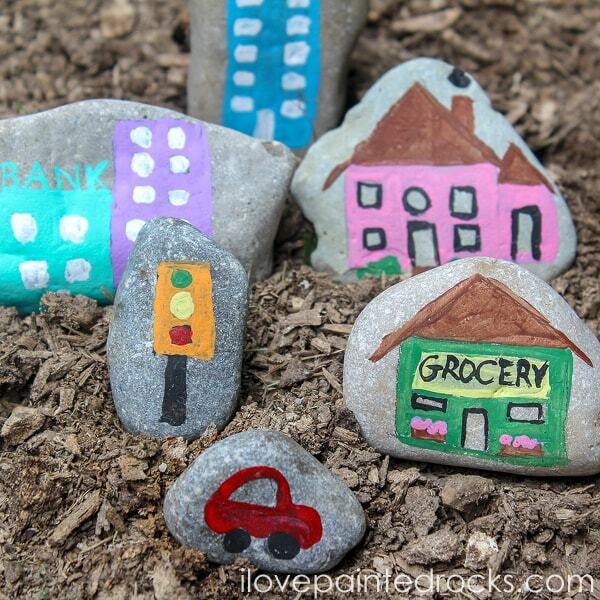 Or pick things that are landmarks in your own community to paint and add to your rocks! 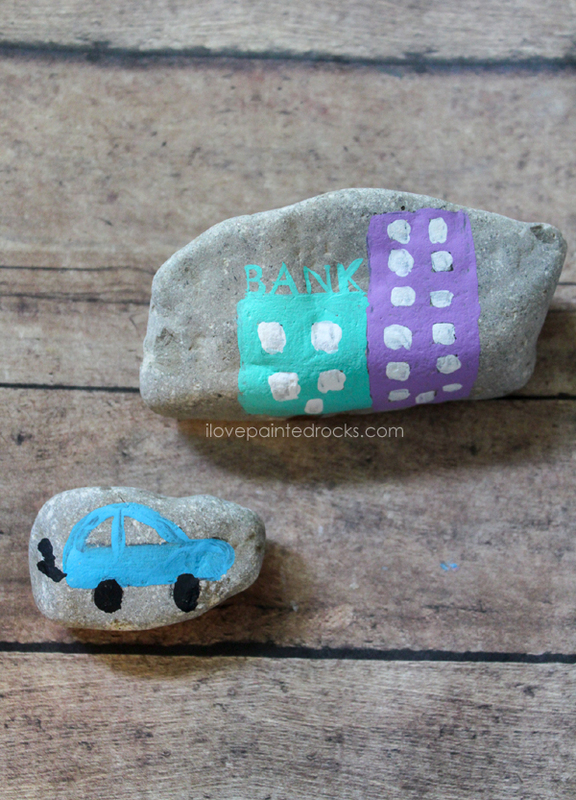 If you are inspired by this rock painting idea and decide to make your own, won't you share? I'd love to have you share your painted rock creations on the I Love Painted Rocks Facebook Page. If you are willing to let me feature your rock on this website, you can submit your unique painted rock creations here. 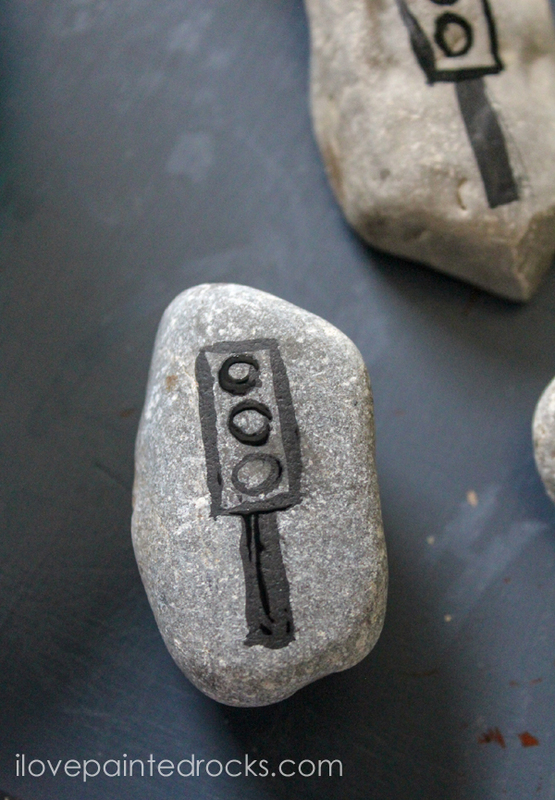 Look for rocks that have shapes that will lend themselves to what you want to paint. For example, a skinny longer shape is perfect for painting a street sign. A rock with several pointy edges on one side might make for a great mini-mountain range. You will also want rocks that are flat and will have a smooth surface for painting. 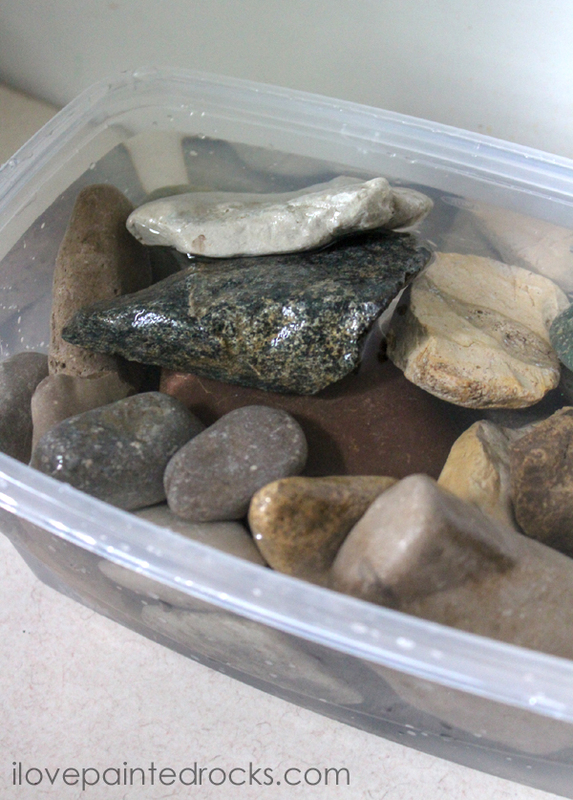 Once you have your rocks collected, use a bit of dish soap and a brush to give them a good scrub. This will get the dirt off and make your paint go on nice and smooth. Allow the rocks to fully dry. They shouldn’t take long! Especially if you have them out in the sun! 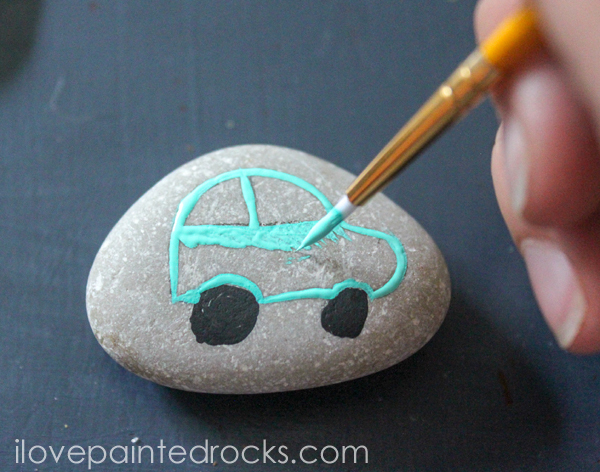 Acrylic paints are one of the most popular ways to paint rocks. They are inexpensive and there are so many colors available! If you are using acrylic paint, be sure to grab some paintbrushes, too. A good paint brush can make a huge difference! Many of the rocks for this project have some smaller details so a fine brush is key. Paint pens like the these from Uni-Posca are a great option and popular as well! If you are a dedicated rock painter, I think they are definitely worth the $20 investment. 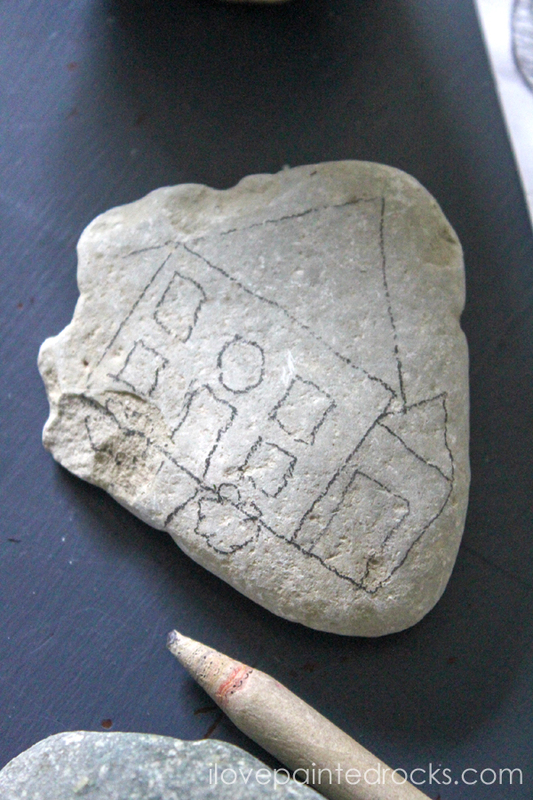 Sketch out roughly your plan for your rocks with a pencil. For our village, I wanted a mix of cars, houses, and community buildings such as a bank, park and grocery store. How to Paint a Rock Village Step 5: Start painting! Using your sketches as a guide, start to paint your rocks. I find it easier to outline with paint first and fill in second. Work in layers on your rocks, remembering to let each layer dry before adding the next one. You can even use a hair dryer between coats to help them dry faster. For super vibrant colors, you can even paint a layer of white paint first. This is optional, but can help your colors pop - especially if you chose dark rocks. 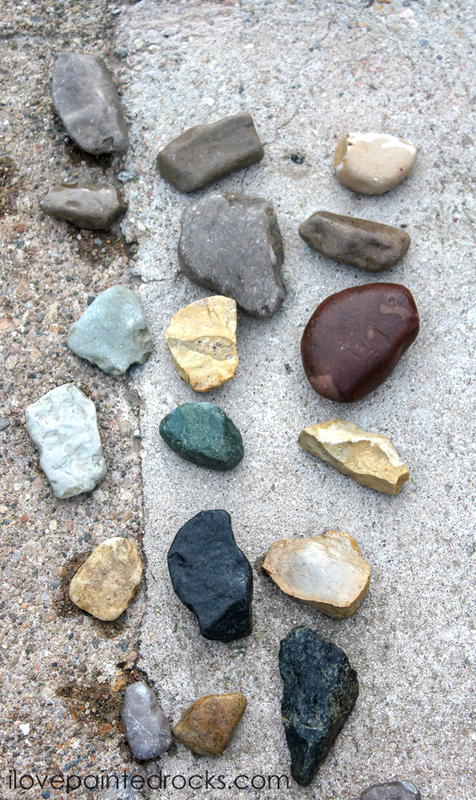 When you are all done, be sure to seal your rocks if you are going to play with them and leave them outside. 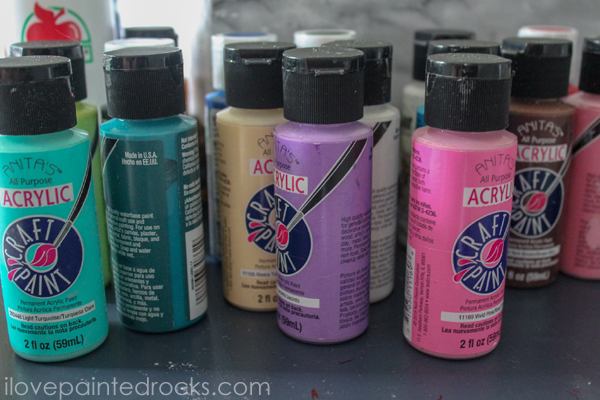 Check out my handy guide for how to seal painted rocks if you aren't already familiar with that process. 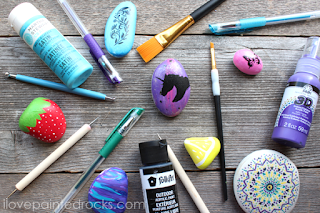 Do you love painted rocks? Follow us on Pinterest, Instagram, Twitter or on Facebook.